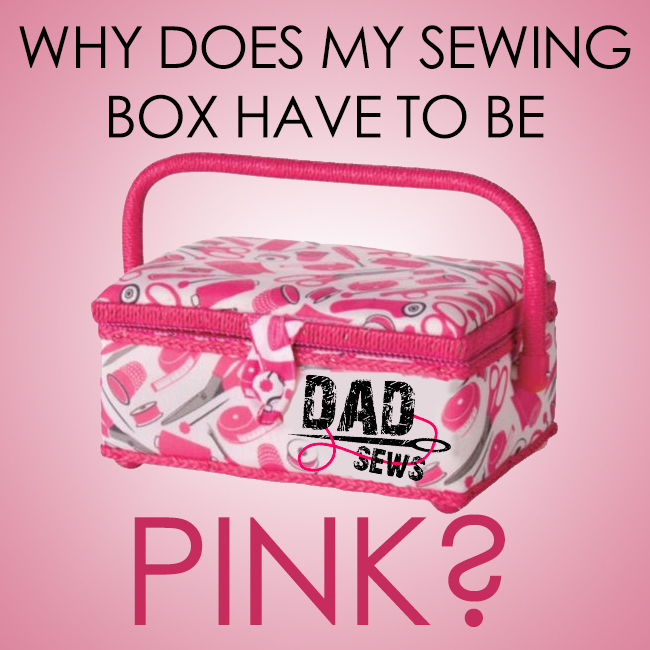 Why Does My Sewing Box Have To Be PINK?!? 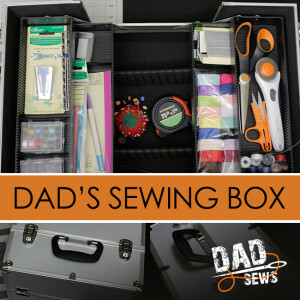 When I went into the local sewing shops in search of a sewing box, I experienced what could kindly be called disappointment. Actually, what I really felt was an extreme case of the eye rolls. Before me lay an ocean of options. All. In. Pink. I understand the majority of people that sew are female. What I don’t get, is why every single option was either trimmed, bespeckled, or highlighted in pink? There are ladies that don’t like this right? My daughter, for example, would prefer Hulk’s grimace plastered all over her Easter dress instead of pretty flowers. My wife is happy to have a nice Red Sox hat in place of a lacy bow. There are others like them right? Am I living in some Bizzaro world that doesn’t match reality? The fact is, there really should be more options. Even my online search didn’t turn up an abundance of gender-neutral color schemes. Sure, there were a handful, but they make sure you pay full price for that non-standard (non-PINK) encasement. I was also disappointed that the boxes I found had set sizes for the storage areas. 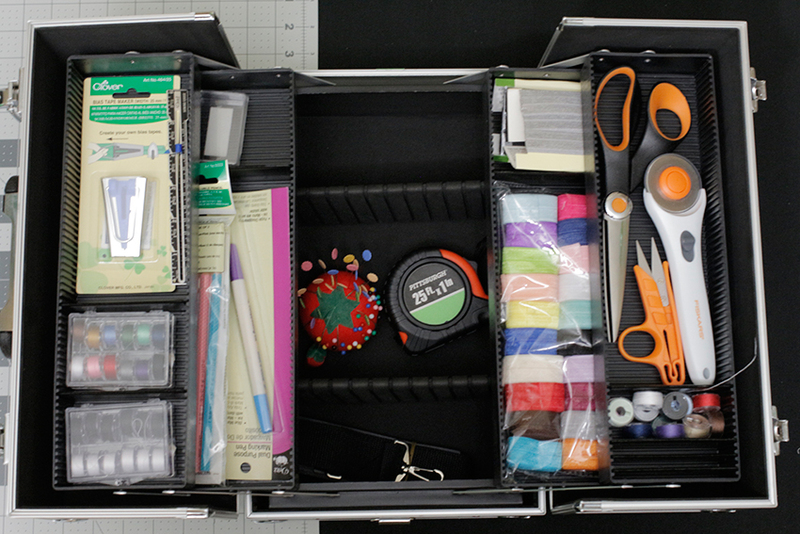 If you wanted a kit with adjustable spacing, get ready to drop more cash. If you came looking for a reasonable price, it was ‘One Size Fits All’. I found a lot of men AND women had turned to tackle boxes to store their wares. This is actually a pretty good idea, and considering the similarities between fishing line and thread, it makes good horse sense. I still wasn’t thrilled with my options however. Tackle boxes quickly crawl up in price once you need a certain size, and I wanted a box big enough to throw a few yards of fabric into. Luckily, as it usually does, Amazon came to my rescue. I was able to get a box that met all of my requirements. It was a nice neutral color and made of a light and sturdy metal. 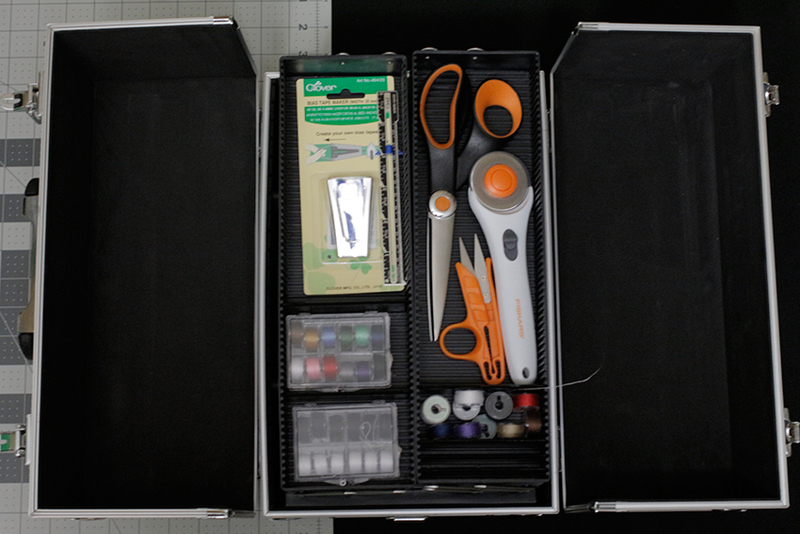 Did you know a lot of sewing boxes are just cardboard wrapped in fabric? Yeah. Let my two year old near to that with a cup of chocolate milk, and we’ll see how long it takes before I’m carrying around something that smells like a sourdough bread starter. 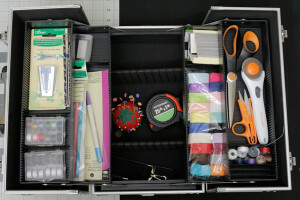 The compartments are adjustable to fit my needs and it has a nice detachable shoulder strap. It folds out for me to easily see what I have (or don’t have. Man I need to bulk up my supplies). All in all, it’s a box I’d be tickled PINK to carry. —–> I had to do it. If you’re interested, you can find the same box HERE. Amazon prices fluctuated, but it’s holding steady around $35, which I was happy to pay. 9 Responses to Why Does My Sewing Box Have To Be PINK?!? THis is great info and I thank you. I have had a fishing tackel box for years I thought I was just weird lol . I do like pink but it doesn’t have to be everything. Thanks so much for stopping by, Debbie! Agreed, if everything was pink, well let’s just say I’m not sure my daughter would want to live in that world. I actually use a large Dewalt rolling tool case to hold my sewing machine and all the “usual” tools. 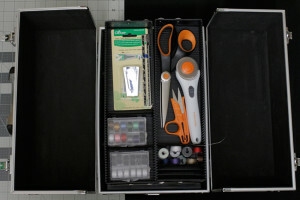 It works awesome, and it doesn’t look silly when I leave it in my husbands truck (and half the price of a sewing machine bag). Exlemerty helpful article, please write more. I like the idea. I live in Belgium and when I looked up the same product in Amazon.de, I almost fell off my chair. Price is at a whopping €166.41 ($186)! Whoa! 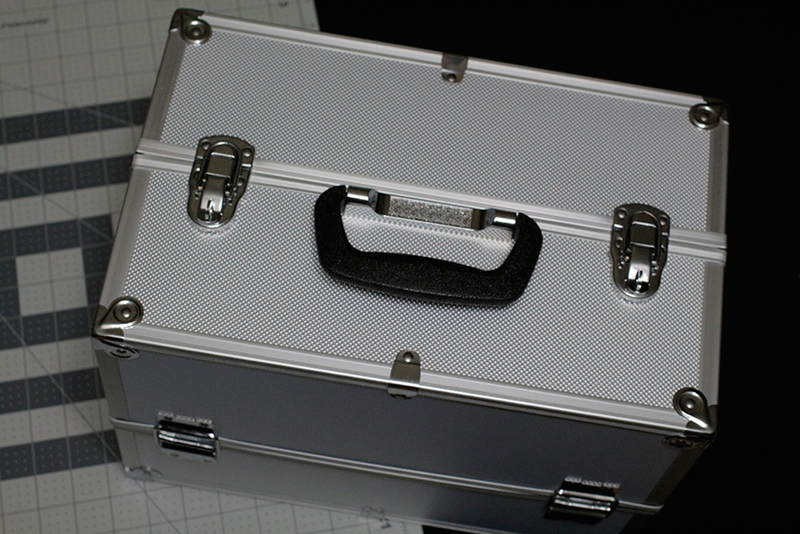 Look for a fishing tackle box. The case you directly linked to appears to no longer be available. Keywords that might help other people would be “photo lens hard case” (because that’s what your pictures look like) and I’ve also seen firearm cases come up in the same search results.